How would a man on TRT know if he has responded to HCG? The easiest way is to see if the size of your testes have increased. In fact, this is probably the #1 reason that men on TRT use HCG: they don't like the testicular shrinkage that can occur where their body's own production of testosterone shuts down. HCG can add back in volume to the testes usually in 3-4 weeks. So with all the benefits of HCG, I think it is worth noting some of the very significant differences between HCG and LH. Yes, HCG and LH bind to the same receptor, but that is where the similarity ends. As you will see below, I believe it is wise to go lower dose with HCG for reasons outlined below. (Some of the endocrinology dosages are VERY high. See my page on Common Dosages for HCG. 1. Longer Half-Life. HCG has a much longer half life than LH. Remember that LH is secreted by the pituitary in pulses that stimulate the Leydig cells in the testes to produce testosterone. 2. Placental versus Adult Stimulation. HCG is a very powerful placental hormone for a developing fetus. It has a powerful stimulatory effect on multiple systems and is long-lasting in order to achieve a more stable and powerful effect. LH is actually an older molecule, present in all vertebrates, and is critical to adults. 5. Different Gene Expression and Signaling. Both HCG and LH bind to the same receptor and thus produce similar physical effects, right? Interestingly enough, the answer is that, while both do bind to the receptor, they produce some very different downstream results. The reason for this appears to be that they initiate differing patterns of gene expression, i.e. trigger different proteins used metabolically by the body. This should actually not be a surprise when you consider that HCG and LH serve very different functions and purposes. CONCLUSION: In my opinion, dosage with HCG is critical. This is a very powerful hormone, and research is ongoing as to exactly what effects it produces in adults. 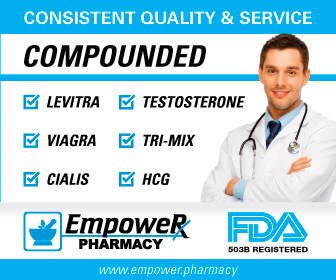 In men, HCG is particularly poorly understood outside of its effects on testosterone and fertility. And, as always, I will comment that, if a little is good, more will not always be better. 1) Molecular and Cellular Endocrinology, Mar 2014, 383(1-2):203-213,"Luteinizing hormone and human chorionic gonadotropin: Origins of difference"
2) Oncology, 2005, 69 Suppl 3:4-10, "VEGF as a key mediator of angiogenesis in cancer"
3) "Vascular Endothelial Growth Factor (VEGF) and Its Role in Non-Endothelial Cells: Autocrine Signalling by VEGF", Angela M. Duffy, David J. Bouchier-Hayes, and Judith H. Harmey.